If your next destination is Paris and you’re traveling with your partner, why not make it all the more special? The following are some tips on how to have a tasteful holiday in Paris. Whilst the Eurostar is a great experience, for a quick flight to the City of Love then I definitely recommend that you fly with www.airfrance.co.uk, specialists in cheap flights to paris from Manchester or London. Here are some other great tips on what you should do in Paris! One of the many advantages of staying in a luxury hotel is you get to be pampered so you can have the most enjoyable and comfortable time while touring around. You can sleep in, order room service, take a long, relaxing dip in the tub, or simply laze around. Paris is known to be one of the most expensive cities to visit and if you want to indulge in la belle vie, choose an accommodation that has the kind of luxury amenities to cater to your needs. Just off the Arc de Triomphe, the Saint James Paris is a 100-year-old chateau that offers every visitor grandeur, classicism, intimacy, and extravagance. The Shangri-La Hotel has lavish and elegant rooms and suites, offering clear, romantic views of the Eiffel Tower, just 600 meters away from the Seine River and the tower. Shopping in Paris is always a grandiose affair with the dazzling mix of boutiques, chain stores, and markets. By the glamourous Champs-Élysées and the elegant Triangle d’Or, you can find haute couture fashion houses. For literary finds, go to the Latin Quarter, and to the Marché aux Puces St-Ouen for flea market finds. For art and antiques, visit the area of St-Germain de Pres. Make sure to greet the shopkeepers ‘Bonjour’ and keep your receipts in case you need to exchange the item you purchased. You just can’t leave Paris without trying out the savoury French dishes. The city is a one of the most foodie-friendly capitals in the world. The ambience alone of the Plaza Athénée will instantly put you in a glamorous and sophisticated setting. The food will definitely captivate your hearts and your palate as you dine on Iranian caviar and Breton lobster in a remarkable sauce of apple, quince and spiced wine. At the Le Cinq, every bite will dazzle your taste buds with their myriad of awe-inspiring marinated sea scallops, sea urchin and coral crumble. You can get in touch with a luxury car hire in Paris and rent a hot Ferrari or any other sporty car to bring you from one destination to the next, in style. 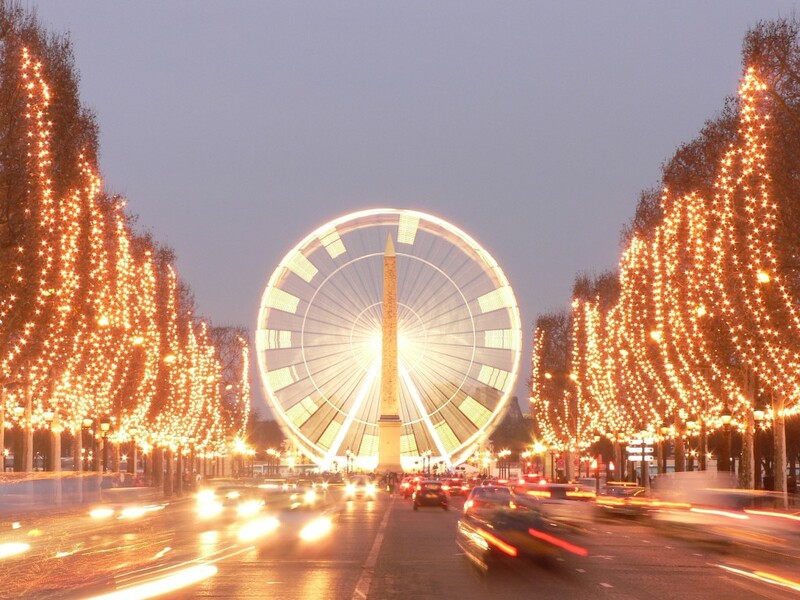 With your lavish ride in tow, you can drive your way to a luxurious holiday in the City of Lights. This can be a convenient transportation for day trips especially if you intend to see other places outside Paris, such as Versailles.